Stories only happen to people who can tell them. Being a writer (a blogger, a copywriter, an academic writer, a poet – choose the right variant), you’ve heard about the phenomenon of free writing probably, even if you never used it yourself. Chances are, however, that you practice free writing quite often to deal with your writer’s block for example, but you just do not know its definition. Free writing can be very useful; it helps you awake your creativity and learn yourself better. Write down your thoughts, and you might be surprised. But do you know how to use free writing in a right way? Mark Levy perfectly describes the phenomenon of free writing and its usage in his book Accidental Genius: Using Writing to Generate Your Best Ideas, Insight, and Content; the secrets of free writing have been revealed finally. The point of free writing is condensation and fixation of your own scattered thoughts on paper: you take a notebook or a laptop and write two or three pages of a text, denoting a certain point of concentration which is not always expressed with exact concerns or questions. Sometimes it is just a word you start your writing with. It is important to start writing, trying not to dwell; and you will see how sentences pull different ideas out of your subconsciousness. Such a method helps you synchronize the voice of your intuition with paper, find solutions which are hard to plumb, revive your curiosity and desire to work when you are attacked by blues. Six secrets of free writing have been revealed by Mark Levy in his book; trying to follow these tips, you’ll be among those lucky ones who think clearly, understand themselves and their thoughts better, overcome writer’s blocks easily, and create writing masterpieces, gaining new knowledge and improving their writing skills. It expresses the absence of any particular purpose of writing. You just know that free writing activity is useful, so you sit and write, limiting yourself with time or scope only. What is more important here is the process of writing itself, so just relax and do not think of results and significance of this exercising. 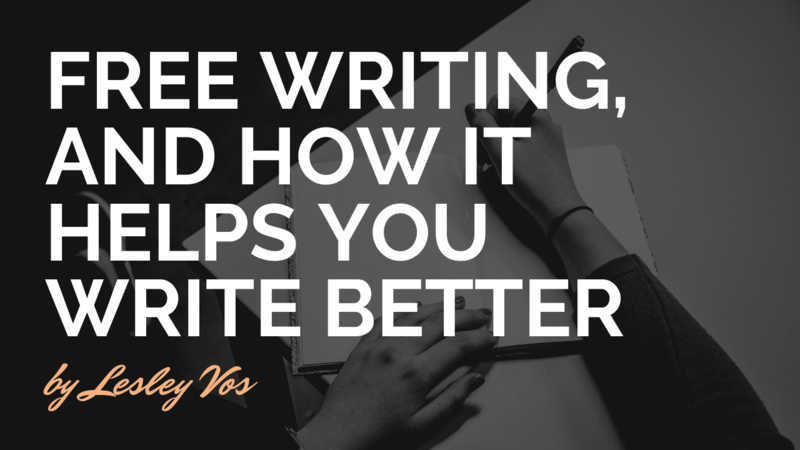 It’s a really interesting feature of free writing: you should try not to stop while writing. When you do not know how to continue a previous sentence, just start writing about what you see or feel at the moment: “It snows again, and it seems colder…”, “Why am I writing all this right now?”, “It seems I’ve forgotten to turn off the light in my bathroom”, etc. Tell yourself to write 1000 words for 20 minutes for example. You can arrange a super-hard free writing for yourself, using such applications as Write or Die to make the process easier. It may seem that this recommendation contradicts the first one in the list, but it is not true: time limit allows you to start the process of “clinging” one sentence after another; and if you do not hurry and do not make big pauses for thinking – you lose momentum which push your subconscious ideas out of your head. Free writing is not a process of writing as it is, but a method to monitor your cogitation. It’s very easy to follow this tip: just do not think someone will read your writings except you. Once again: just grab one thought after another. All famous essay writers use this trick to come up with arguments needed to express their points of view and prove them. Attention switches are simple questions you ask yourself (in a written form) to refocus your mind to some unexplored elements of the situation. How to make it exciting? How to increase its value? How should I use the information I already have? What are the important data I do not have? 1. Use a sheet of paper to consider unusual points of view and bring all seemingly incompatible ideas together. 2. Start your free writing session with a particular phrase (it is called an aiming) to determine a direction of your writing. 3. Write possible ideas and solutions without criticizing or evaluating their realization. Use assumptions to get out of a dead end. Give written answers to the following four questions: What is the problem I’m trying to solve? ; Who had a chance to solve a similar problem? ; How did they solve it? ; How can their decision be used with regard to my situation? A short session of free writing can help you find answers. In order to get really fresh thoughts, try to perform a series of sessions with the total duration of a few hours. Make sure that each session of your free writing starts with a new direction, even if it seems unnatural and difficult. By Lesley Vos, a novice writer and a passionate blogger who is honored to be a guest contributor to such wonderful blogs as Novel Publicity, Helping Writers Become Authors, Janice Hardy Blog, and others. Lesley is always ready to share her knowledge with everyone who needs it.